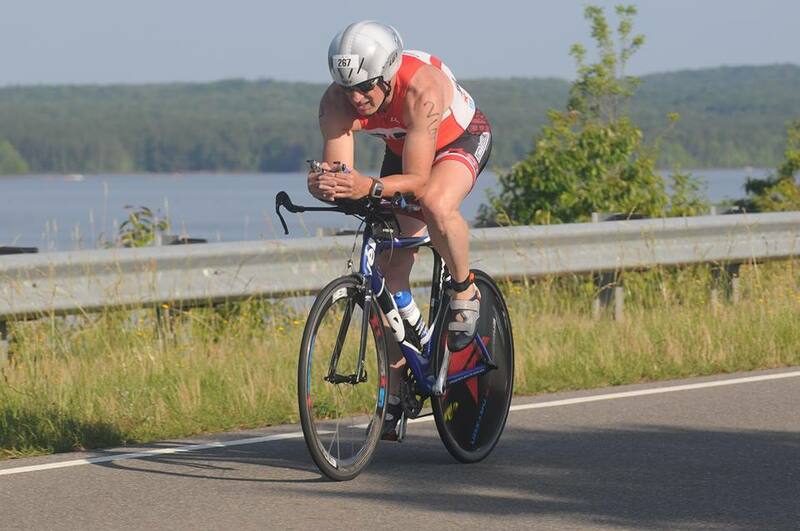 Meet some of Team EN members competing at Ironman® Chattanooga 2014! I am from Springfield, IL. This will be my 3rd Ironman since IMWI (11:48) in 2010 and IMAZ (9:50) in 2012. I have had a solid year of training for this event and I am looking forward to the challenging course. I won’t say that I have any goals for this race but I would like to do well and have an awesome marathon. I believe EN has prepared me well and I am ready to stay in the box and have a great race. I’m very excited to tackle the course, get to the run and wait for the magic to happen. From Daphne, AL. 13 years this amazing Tri Adventure. I love to train with such amazingly inspiring people! I feel blessed for every stroke, breath, and step! I always want to finish feeling good and smiling! My Hero is Rickie Richey!!! Grand Bay, AL; 2 years training and racing tri; Hope to go sub 12 hours. Fitness should be there however separated my ac joint 5 weeks out. Hoping my swim doesn’t suffer to much. Still going to push for sub 12. I am from Michigan if you ask, but I currently live in New Jersey. It always starts with “I had a friend…” So this friend convinced me to do NYC OLY tri last year in 2013. I was a runner and swimmer with a mountain bike. I had so much fun racing that I decided the following month is was a good idea to sign up for the full ironman, even though all I heard for 25 miles was ‘on your left’. So this winter I bought a tri bike and here I am. Every time I go out on the bike it is a learning experience. I am not where I really want to be, but I gained so much in strength, knowledge and speed that I am happy about what the journey has been and what it will continue to be. I signed up for IMCHOO knowing that my husband would not be there to support me. He will be tracking me from Bahrain where he is currently station as a part of the NJ Army National Guard. When he is gone I have to take on a lot more around the house, with the 4 kids etc.and time it tight. Having IMCHOO has helped me to ensure I still have something for myself , that I don’t lose who I am for the year he is gone. I joined EN for help training and RWB for the support of other veterans. I hope you all will still support me on race day as I wear the RWB kit to be one with other veterans and service members. The goal is to finish and have fun doing it. This is my time and I plan to enjoy it. I am Jodi Harbin from Valdosta, GA and have been racing Ironman since 2007. This will be number 5, and after this I will be taking a break as I have two wonderful kids in college $$$. I hope to return to the team after they graduate and compete until they reach an age that maybe I can KQ. For this race I would love to PR and maybe sneak in under 14 hours. I have the world’s greatest Sherpa (husband Greg) cheering me on. Those who went to camp would agree as he served as the sag wagon! I was a volunteer cross country coach the past few years for our local high school. I am cycling with a picture of one of my runners, Cora, who tragically lost her mom in August. My suffering on race day pales in comparison to her pain. Maybe honoring her will give her some strength. I am from Brandon Mississippi. I am married to my wonderful wife Leah and we have three young boys ages 5, 7 and 9. I have been doing triathlons for 12 years with an emphasis on IM events for the last four years. This will be my fourth IM and my race day goals will include 1:05-1:10 swim, 5:15-5:20 bike and a 3:30 marathon. Overall time isn’t as important as a KQ slot, so as the conditions of the race present themselves, I’ll try to execute all the principles of EN to achieve a solid race for my particular talent and fitness level. I am from Brandon, MS. This is my third year in triathlon, and my first full IM. I am an orthopedic surgeon, specializing in sports medicine. I am married to a fellow triathlete, and have three kids. this is my first year with EN and have been very pleased with my gains, and i hope to complete this race in 11-12 hours. I am from Williston, SC. Full time poultry farmer and part time triathlete. Married to my wife, Pam and we have 2 kids Tucker (8) and Allie (4). This is my second year with Endurance Nation and IM Chattanooga will be my second Ironman. I have been competing sprint triathlons for 4 years now and iron distance races for just 2 years. Looking forward to racing with my teammates here in Chattanooga and executing the race like an EN Ninja. Hello – I’ve been participating in triathlons since 2006, joined EN in 2008, and IM Chattanooga will be my 6th ironman race. Life is a busy one. I’m a CFO at a managed care health plan and being married with two teen daughters keeps my hands and time very full. Fortunately EN’s training methods have provided myself the opportunity to become a strong and fit athlete along the way. My goals for this race are simplistic. Think Smart, Act Smart, and Have Fun. Those first two “smarts” set me up to have a great race and having fun and smiling on race day makes the whole thing very rewarding. Of course, having a few cold beers after crossing the finish line and cheering on remaining finishers is my race day carrot to get to the line as quickly as possible. My phrase for any race: Dream It, Believe It, Achieve It! I live in Alpharetta, GA with my Brett and sons, Jack (13) and Wil (12). I retired from my accounting career in 2008 to stay home with my with my boys during their formative school years. That freed me up to start training for Ironman races. I discovered triathlon in 2006 at the age of 37. I didn’t know how to swim, didn’t own a bike and could only run 4 miles. My first tri was an Olympic distance 6 months after I started training and then 6 months after that I did my first 70.3. IM Choo will be my third IM. My first was IMFL in 2010 and second was IMAZ in 2012. My race day goals are to stay in my box and finish the marathon strong. I’m from Madison Alabama. Been doing marathons, triathlons and other various endurance events since 2009. I’ve completed 3 half IM events and thought it was time to step up to full so here I am ready for IM Chattanooga….And what better way to celebrate my birthday this year than becoming an Ironman! 2014 marks my 15th year in triathlon. I am a charter member of Endurance Nation going back to the first Outseason in 2007. Chattanooga will be my 6th Ironman: 3rd with EN and 2 with Rich at Crucible Fitness. My last Ironman was Florida in 2010 when I had a 6 week old on race day. I have focused more on halfs the last several years, and really wasn’t planning on doing Ironman in 2014 until Chattanooga was announced. My wife encouraged me to sign up — great race, great venue, great activities for kids, my parents live in Tennessee, race within driving distance, and I turned 40 this year! For all my previous Ironmans (and races for that matter) I’ve always looked ahead to some future race when I would REALLY train right. Chattanooga became that race. I am more prepared than I’ve ever been for any race of any distance. I’m excited and nervous about what that means, but looking forward to executing like a ninja on race day and seeing how it all shakes out. I’m gunning for a PR at the least, we’ll see about the rest. Cheering us all on in Chattanooga in EN red will be my wife, Katy (3X Ironman), and our boys James and Daniel, and my parents. The boys are both doing the Ironkids run. James (6) is already planning his race strategy. Looking forward to racing with all of you! From Durham. NC Been in the sport since 2003. This is my 3rd full distance with 20 or so halfs. Race day goal will be to finish. After changing jobs early this year, training has been very limited. I just hope to cross the line before the deadline and enjoy racing with the Team.